All seating at Aurora Theatre Company is reserved. Aurora Theatre Company is wheelchair accessible. 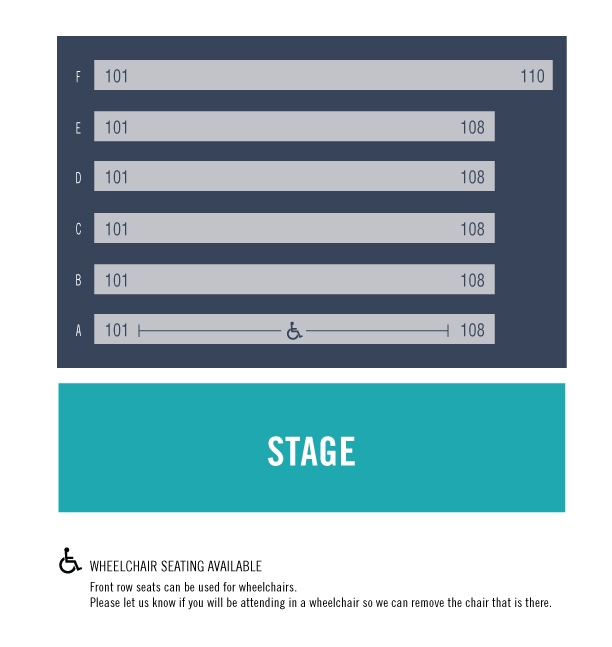 Please book ahead to ensure seating for anyone with mobility needs. RUSH tickets are available at the box office 30 minutes before curtain, subject to availability. 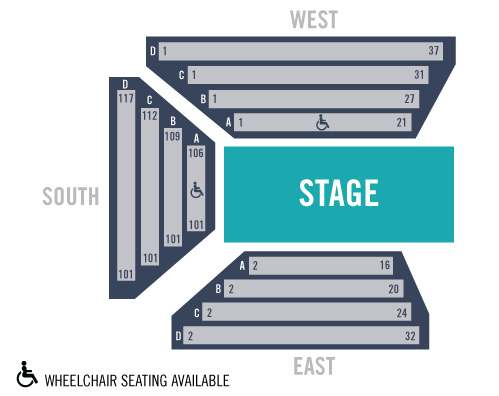 Seating map below for Actually, performed March-April 2019. Doors open one-half hour before the performance.